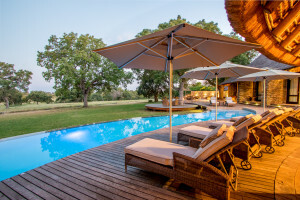 Makanyi Private Game Lodge is a true African inspired, luxury experience and is located in the southern Timbavati Nature Reserve – a superior area for wildlife. 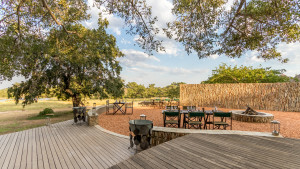 Here, guests will be able to witness Africa’s ‘Big 5’ (lion, buffalo, elephant, leopard and rhino) as well as the rare and fascinating white lion. Owner Jessica Gold, fell in love with Makanyi in 2013 and decided to substitute the haphazard city of London for the more serene African lifestyle. Together with her superb team, Makanyi Lodge go out of their way to encapsulate guests with an authentic African experience, combining their love of conservation, community and luxurious living. What sets Makanyi apart from any other lodge in the Timbavati is that they give special attention to detail. 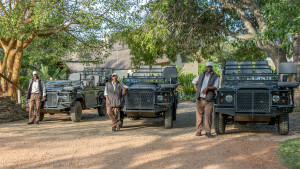 While on game drives, there are no time restrictions at sightings, congestion of vehicles and guests will be guided by expert trackers who’ll trace animals without being notified of their whereabouts. 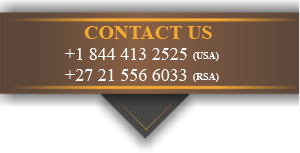 Along with your afternoon and morning game drives, guests may request other activities such as bush walks, star gazing, fishing, a photo safari with highly acclaimed photographer, Hilton Kotze, or an art safari with artist of the year 2016, Warren Cary. For those who prefer time-out or a little R&R, can lounge around on the pool deck, sip on cocktails or enjoy a good read while the ‘calls of the wild’ echo in the background. Makanyi consists of a luxury main lodge and seven suites; each aesthetically designed with immaculate views overlooking the dam. 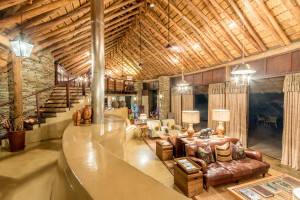 The main lodge is spacious, exudes elegance and unsullied furnishings, still keeping to the authentic African essence. Each suite is a marriage between modern and rustic elements with different wood textures and stone wall overlays. 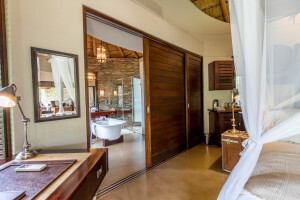 Two of the seven suites are especially ideal for newlyweds as they’re further away from the main lodge, offer more privacy and have their own plunge pool. All rooms include special amenities such as complimentary Wi-Fi, telephone, mini bar and Nespresso coffee machines. Catering to your every need, Makanyi will make sure that you’re well fed with the most nutritious and locally sourced foods. If you’re missing your own cuisine back home, Makanyi will accommodate to your specific taste preference, ensuring your stay is nothing less than memorable. 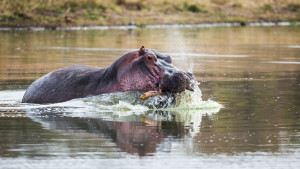 All images are property of Makanyi Private Game Lodge.